This great post-Romantic work is a wonderful recital piece for the viola. During a composing life of little more than 25 years, Max Reger (1873-1916) created a prolific output of more than 200 works. His gift for unsentimental form and melodic clarity coincided with his commitment to 'absolute music,' and he saw himself as a part of the tradition of Beethoven and Brahms rather than that of Liszt. As a master of harmonic and polyphonic writing, Reger was a great admirer of J.S. 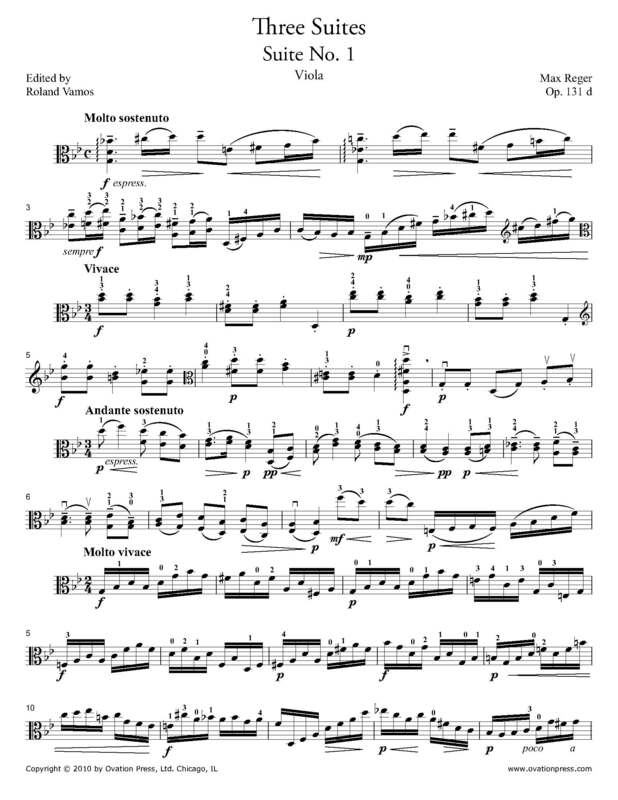 Bach, and his suites for viola solo were heavily influenced by Bach's sonatas and partitas for solo violin and the suites for violoncello solo. Reger composed three suites for viola in 1915 in the keys of G Minor, D Major, and E Minor.